PMDC series fittings are conventional panel mount connection method, with the primary tube passing through the fitting body and a simple push-on secondary terminating tube connection. 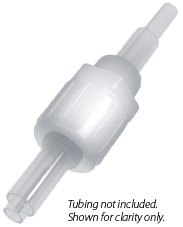 No flaring required of the secondary tube. 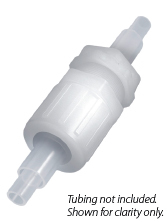 MCDC series fittings are used on a box or cabinet that have a female NPT. 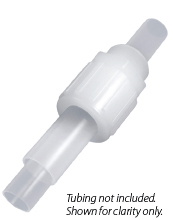 The primary process tubing passes through the fitting body and a simple push-on secondary terminating tube connection. 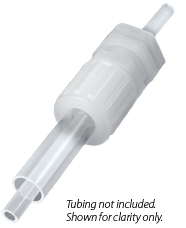 No flaring required of the secondary tube. PMBP8GLN-1 1/2" 2.79 1.11 0.29 0.50 1-1/4” 1/4"
PMBP12GLN-1 3/4" 3.01 1.13 0.38 0.50 1-1/2” 1/2", 3/8", 1/4"
PMBP16GLN-1 1" 3.47 1.27 0.38 0.50 2” 3/4",1/2", 3/8", 1/4"
MCBP8GL-12N-1 1/2" 3/4" 2.35 0.67 0.29 1/4"
MCBP12GL-16N-1 3/4" 1" 2.73 0.85 0.38 1/2", 3/8", 1/4"
MCBP16GL-20N-1 1" 1-1/4" 3.07 0.86 0.38 3/4",1/2", 3/8", 1/4"
• Patent pending ratcheting action.